This week RSRT announced research investments of $5.8 million bringing total commitment to research to $25 million since its launch in 2008. Funding of $1.3 million was awarded to Case Western Reserve University and the Cleveland Clinic for a Phase 2 clinical trial of low-dose ketamine for the treatment of Rett Syndrome. Ketamine, a drug that has historically been used for sedation and anesthesia, has recently generated much enthusiasm for its ability to rapidly reverse major depression at low, sub-anesthetic, doses. 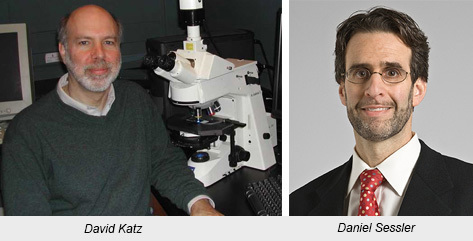 Studies undertaken by David Katz, Ph.D., showed that low-dose ketamine can reverse deficits in brain activity in mouse models of Rett Syndrome in conjunction with significant improvements in neurological function, including breathing. This trial will determine the effect of single doses of ketamine on breathing abnormalities and other Rett Syndrome symptoms.The study is being led by David Katz, Ph.D., Professor of Neurosciences and Psychiatry at Case Western Reserve University School of Medicine and Daniel I. Sessler, M.D., Michael Cudahy Professor and Chair, Department of Outcomes Research at the Cleveland Clinic. 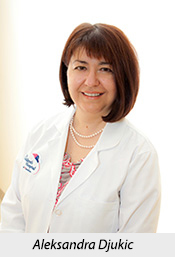 Aleksandra Djukic, M.D., Ph.D., medical director of the Tri-State Rett Syndrome Center at the Children’s Hospital at Montefiore was awarded $403,000 to conduct a Phase 2 clinical trial of lovastatin, a cholesterol lowering medication. The scientific basis for this trial stems from experiments conducted in the lab of mouse geneticist, Monica Justice, Ph.D., who identified the cholesterol pathway as a potential avenue to improve Rett symptoms. The trial will determine the effect of lovastatin on gait, respiratory function, cognition and other Rett symptoms including the severity of the disease.In addition, Dr. Djukic recently concluded a Phase 2 trial testing safety and effectiveness of a multiple sclerosis drug, copaxone, in treating Rett Syndrome. The data is currently being analyzed. The ketamine and lovastatin trials will begin recruitment shortly. We will send you notification as soon as they are ready to proceed and will provide detailed information on the RSRT website. Individuals with Rett display a broad spectrum of symptom severity. Some girls can run, have a degree of hand use and can speak in short sentences while others cannot even sit or hold their head up. One reason for this variation is the child’s own unique genetic makeup. In other words, we’ve learned that variations in other genes have an impact on the severity of the Rett mutation. 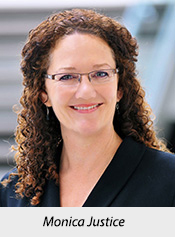 Monica Justice, Head and Senior Scientist in the Genetics & Genome Biology program at The Hospital for Sick Children in Toronto, has undertaken a screen to identify these other, modifying genes that potentially impact the severity of Rett symptoms. The first suppressor gene she identified, squalene epoxidase, led to the lovastatin trial described above. The screen is currently at the halfway point, with 12 modifiers identified. RSRT has awarded Dr. Justice $716,000 in additional funding to complete the screen. This brings RSRT’s total commitment to the project to $2.3 million. Two additional projects are aimed at awakening a healthy but silenced back-up copy of the mutated Rett gene. If the flawed gene could be replaced by reawakening its silenced counterpart we could conceivably reverse Rett symptoms.Currently pursuing this approach with RSRT funding are labs at the University of North Carolina at Chapel Hill, the University of Massachusetts, Harvard University, and Fred Hutchinson Cancer Research Center. These labs are now in regular communication because of RSRT’s strong belief in and facilitation of collaborative research models that encourage the sharing of data, cell lines and compounds.RSRT has awarded additional funding totaling $755,000 to two projects ongoing in the labs of Jeannie Lee, Ph.D., of Harvard and Antonio Bedalov, M.D., Ph.D., of Fred Hutchinson to aggressively pursue this work. RSRT funding will allow David Katz to purse research on the drug, LM22A-4, towards an application to the FDA for an IND (Investigational New Drug). 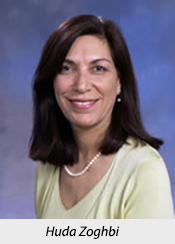 Successful fundraising on the part of the MECP2 Duplication Syndrome community facilitated two awards totaling $644,065 to Huda Zoghbi, M.D., Professor in the Departments of Pediatrics, Molecular and Human Genetics, Neurology and Neuroscience at Baylor College of Medicine and director of the Jan and Dan Duncan Neurological Research Institute. The funds will support two strategic approaches to treating the disorder. Our partners in supporting this work are parents’ organizations worldwide including Reverse Rett (UK), Rett Syndrome Research & Treatment Foundation (Israel), Skye Wellesley Foundation (UK), Rett Syndrome & CDKL5 Ireland, Rett Syndrom Deutschland, Stichting Rett Syndrome (Holland); and American organizations, Girl Power 2 Cure, Eva Fini Fund at RSRT, Kate Foundation for Rett Syndrome Research, Rocky Mountain Rett Association, Anastasi Fund, Claire’s Crusade, New Jersey Rett Syndrome Association, Rett Syndrome Association of Massachusetts, and the MECP2 Duplication Syndrome Fund at RSRT. Two inspiring clinical trials make me feel hopeful about the future. Wish all the tests go smoothly and rapidly. « We Need 9 More!